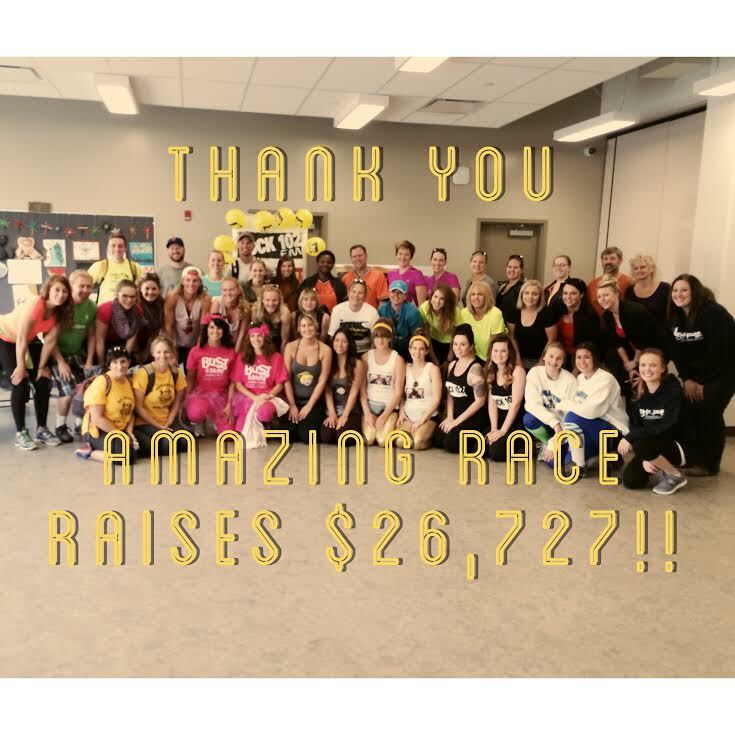 22 teams participated in the first Amazing Race – Lighthouse Edition and challenged their friends, family and co-workers to pledge towards their team. Over a dozen mini-challenges through out the downtown encouraged teams to work together and learn about various organization and non-profits in downtown Saskatoon. For more pictures of the event please see click here. Thank you to Patti Timmerman for her photography and Bob Holtsam for editing and posting. 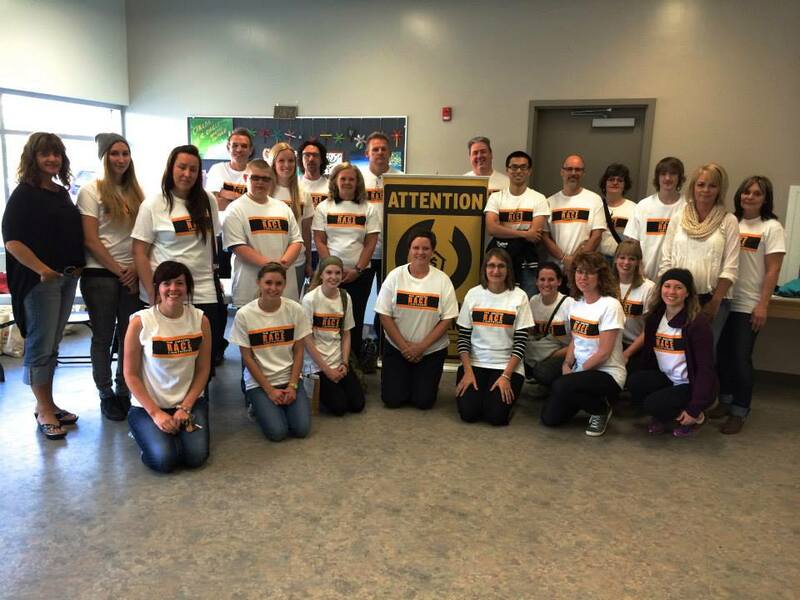 Our 30 volunteers came with their enthusiasm and community-spirit. A great thank you goes to you as well! We could not have done this without various host locations around downtown Saskatoon including Persephone Theatre, the Saskatoon Food Bank, the Clothing Depot, Freedom Functional Fitness, the Downtown Firehall, and Booster Juice in Midtown Plaza. Their willingness to have 45 people compete in their facility was greatly appreciated. Our sponsors donated prizes, in-kind and monetary donations. Community partners are what allow us to put on events like this. Team Divorce Divas raised the most amount of funds and received two tickets to anywhere WestJet flies. Our winning team of the competition was Team Tatlow from PA, followed closely by Team Extreme and Team SBC Recess Guardians. All funds raise are going towards the Lighthouse Mobile Outreach which transports individuals in need of emergency shelter. Winter will soon be upon us and a safe, warm place because life saving to those we serve. Thank you so much for your support!! Seeking Teams for the Amazing Race!! 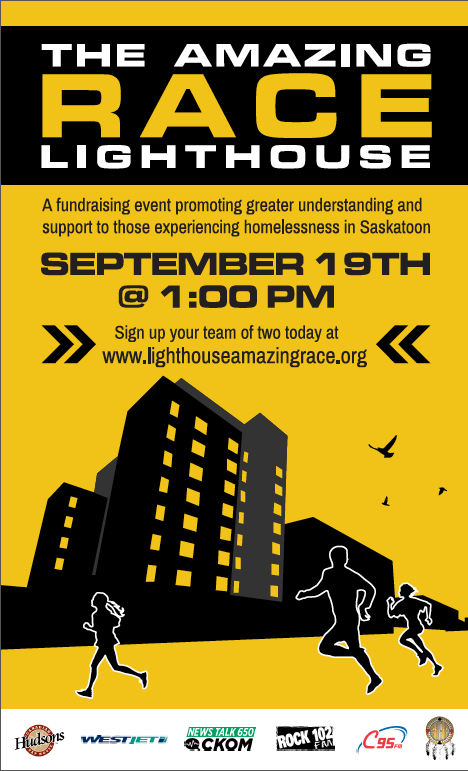 Sign up your team for the Amazing Race – Lighthouse Edition. Teams of two will compete in mini challenges in downtown Saskatoon with an after-celebration at Hudson’s. The top fundraising team will receive two tickets anywhere WestJet flies and the winning team will receive a prize pack including a two nights stay at the Lost Creek Resort in Saskatoon! We hope that you will join us! !